Platero 15.6” Laptop Backpack Just $29.98! Down From $79! PLUS FREE Shipping! You are here: Home / Great Deals / Amazon Deals / Platero 15.6” Laptop Backpack Just $29.98! Down From $79! PLUS FREE Shipping! Head over to Amazon where you can score this Platero 15.6″ Laptop Backpack for just $29.98 down from $79 PLUS FREE shipping! This laptop backpack from Platero has a sleek and stylish design which makes it perfect for men, women, business, travel, school etc. 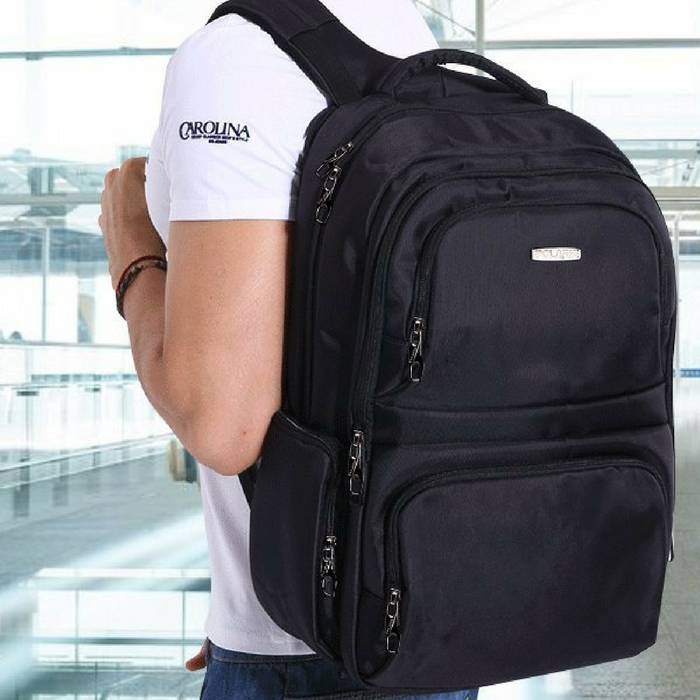 It has a patented anti-theft dual-zipper on main compartment and a lockable laptop compartment (free padlock included), plus the back padding hidden pockets to put cash, wallets or passport etc., all these anti-theft features make it a perfect and worry-free daily backpack for anywhere. Hidden Lockable Laptop Compartment – Well padded laptop compartment of 17.6” x 10.7” could fit all types of 13 to 15.6 inch laptop such as HP, Lenovo, Toshiba, Acer, Dell, ASUS etc., even some gaming laptop. Total 15 Pockets For Easy Organization – 2 Main compartments to fit laptop and clothes; one 16.9” x 12.2” compartment to fit 1-2 file folders, books; 2 front quick-access pockets to put keys, chargers or lunch boxes; 2 side pockets to fit umbrellas, water bottles or some small power adaptor; 1 zip-closed hidden internal pockets for wallet or phones; MANY small pockets to fit name cards, pens, tablets & power bank etc. Ergonomic Shoulder Straps And Breathable Backing – This college backpack with ergonomic adjustable strap is not too bulky but with extra padding for max. support and comfort while carrying heavy stuff. The breathable backing system also keep you away from sticky & sweaty back in summer.